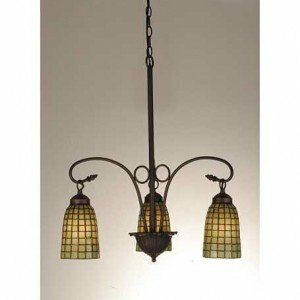 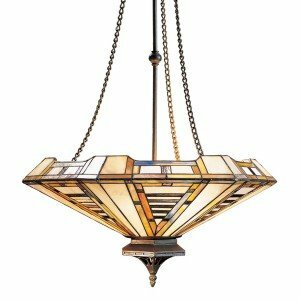 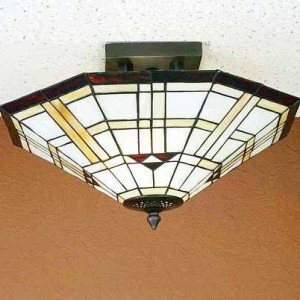 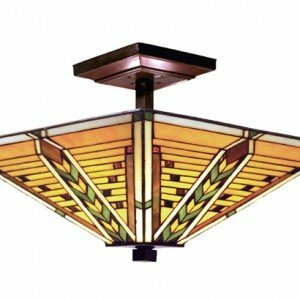 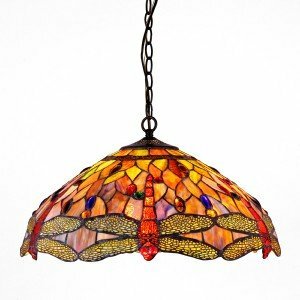 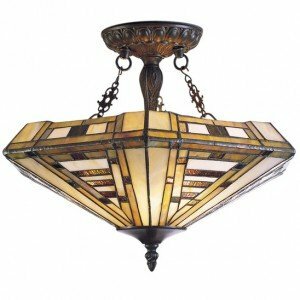 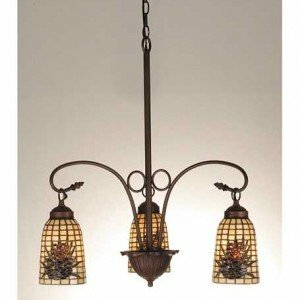 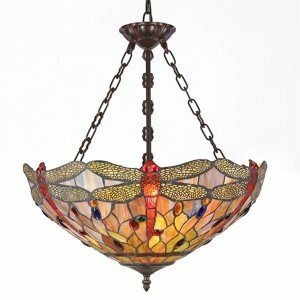 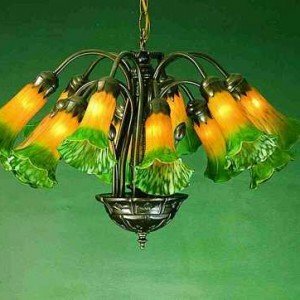 Our broad selection of ceiling fixtures includes chandeliers, pendant lighting, billiard lights, and others. 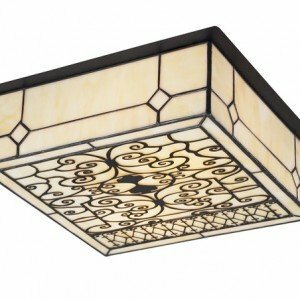 While much Tiffany-style lighting is used for mood lighting, ceiling lights may have more of a lighting impact. 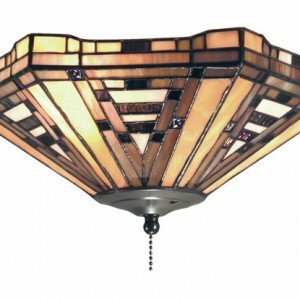 As always, our range of ceiling lights utilizes the traditional, time-honored copper foil method to ensure quality. 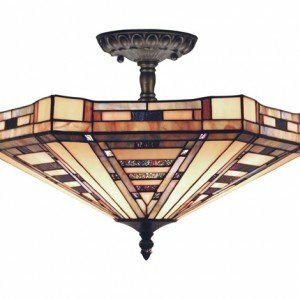 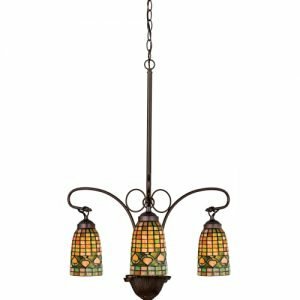 The designs we carry have just as much variety as our other stand-alone lighting fixtures such as our table lamps and floor lamps. 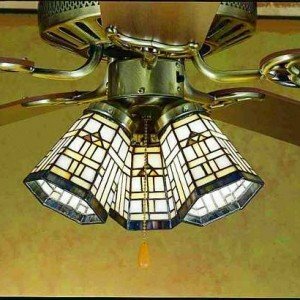 Lighting that is mounted from the ceiling is well worth the extra effort to install once you see the difference it can make in a room. 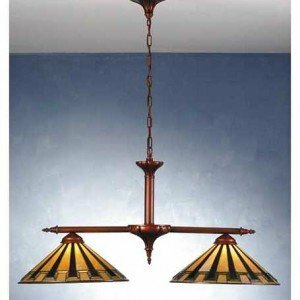 Many of our fixtures can be hung at variable heights to get the exact effect you are trying to create. 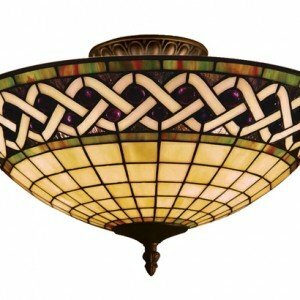 If you need any clarification about the capabilities of particular products, do not hesitate to contact our customer service experts who are eager to help you achieve your desired lighting results.